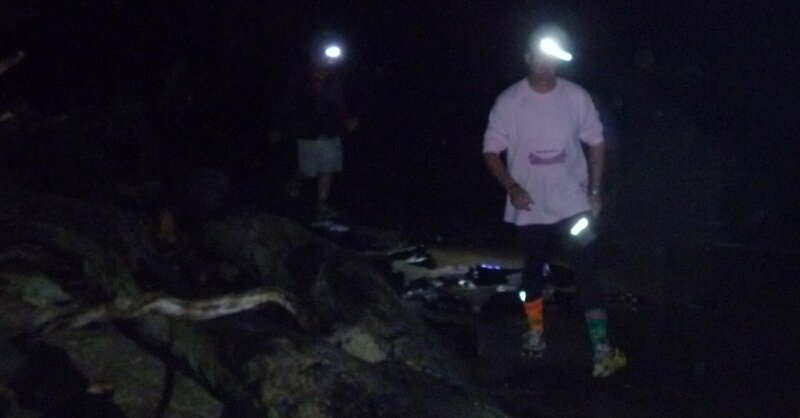 Soff's run reminded all of us that torches, and perhaps life-vests, are handy items to have on winter runs. Perhaps Soff was hoping to put one of us through a hip replacement too, or whatever his motivation; The run he set nicely skirted high water tide across wet and slimy rocks. Trees and other obstacles were strategically placed on trail. To top it all off he had two concurrent circle checks where Hashers split up in two teams and both waited for each other to arrive before calling 'on'. The awkward stalemate was resolved when both parties gave up yelling. ... After many a down down all was forgiven, and the food was just splendid, and perhaps reminiscent of High Tide. Next run from the Devonport Pool carpark, on the Edge of the dark Don Reserve where Dyke is arranging the trail. OnOn at Dyke's place at the foot of Kelcey Tier. Don't forget raffle money, and expect to win the last of the roadkill chocolate bunnies. Interhash 2014: July 2014 Brussels, Belgium - I’ve pledged!